Simply put, solar power works by converting free sunlight into usable energy. Many people, when imagining solar energy, picture large photovoltaic arrays generating electricity for homes, businesses and communities. Although these photovoltaic systems play an important part in the renewable energy spectrum, they are not nearly as efficient as solar thermal systems used for pool and water heating. 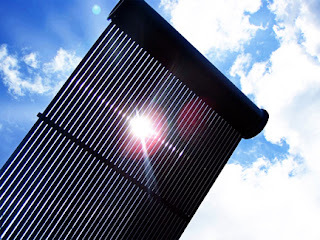 In fact solar pool heating is the single most cost-effective use of solar energy in many climates, according to the U.S. Department of Energy. 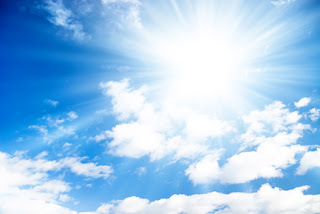 While photovoltaic systems convert the sun’s light into usable energy, solar thermal systems generate energy by capturing and amplifying the sun’s heat. Have you ever turned on a garden hose left in the sun and felt warm or hot water pouring out? That’s solar thermal water heating at its most basic level. Water heated by sunlight can be used for swimming pools, household hot water or even to heat buildings by circulating hot water through radiant flooring systems. Solar Solutions uses the power of solar energy to safely and inexpensively heat your pool to a temperature more comfortable for swimming--even during the crisp days of spring and fall. Helliocol’s patented overmolded header ensures the strongest possible connection between tubing because the header is actually formed around each individual tube. Heliocol’s patented individual tube design resists lift, keeping the panels in place even in high winds. The open design also protects the roof surface from rain rot, allowing rapid moisture evaporation. Heliocol is the most efficient solar pool heating system on the market, producing more heat per roof than any other system. Part of Heliocol’s efficiency comes from its one of a kind individual tube design. Not only do Heliocol’s individual tubes create more heat than other types of collectors, round tubes are the most efficient means of absorbing the sun’s energy. Heliocol’s patented individual tube design allows for maximum absorption of the sun’s heat all day long, unlike other panels which are most efficient only at solar noon. Heliocol is also more efficient thanks to its flexible design and patented mounting system. Heliocol solar panels come in a wide variety of sizes and fit snugly on your rooftop, without unsightly gaps. With less wasted space, you can pack more power on every rooftop using Heliocol. Make the most of your investment. 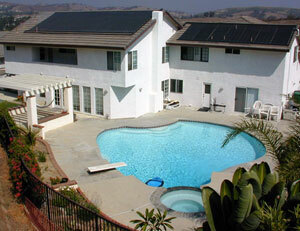 With our solar heating system your pool can be used for eight months, or more, of the year. With our system and energy from the sun, you can use you pool August through May. Solar heating is so affordable, yet the value of your house escalates with this feature installed. The installation takes less than one day. No mess, no fuss, no people walking through your house. No moisture build-up under collectors that could cause premature roof deterioration. Unique design virtually eliminates wind load. Collector is easy to install and operate. Solar panels (made of durable and hard-wearing HDPE) are fitted to the roof. Water from the pool is channeled through the panels and is heated by the sun's rays. The water is then returned to the pool by the existing pool pump. With such an efficient system temperatures between 22º C and 41º C are achieved. This system not only absorbs heat directly from the sun, but absorbs heat by conduction from your roof. In effect, the roof becomes part of the solar system. How the System is installed? We measure the surface area of the pool(LxB) and divide by 3.6 and this will give us the number of panels required for your pool. This formula is used assuming the swimming pool average depth is 1.5m. Then we find a roof area that is within 30m of the pool pump and not more than 15m higher than the pump. We check that the area chosen has sun from at least 10am to 3pm. Please note that swimming pool water temperatures may vary from suburb to suburb and house to house. For example:- suburbs near the coast or in a wind belt generally require additional panels to achieve higher swimming pool water temperatures. Pool pump/filter sizes also effect the overall effeciency of your pool heating system. As a "rule of thumb" we recommend equal solar panel sqm to swimming pool sqm as well as a heat retention blanket.